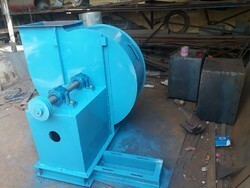 Manufacturer of a wide range of products which include rotor dynamic balancing and industrial blowers. Rotor Dynamic Balancing We are one of the premier engineering companies engaged in manufacturing precision engineered range of humidification machinery. Our range is appreciated for its durability, high performance and sturdy construction. Industrial Blowers We are one of the premier engineering companies engaged in manufacturing precision engineered range of humidification machinery. Our range is appreciated for its durability, high performance and sturdy construction.